Last Year I made picks for both the MLB Playoff series and the World Series that were very accurate. See the 2010 MLB Post Season Page link at the top of this page. I try to look at all the stats in the regular and post season to make my picks. This year I did not get around to picking winners for the Division or League Championship Series. I plan on providing analysis of each game during the World series. Of course I could be wrong, but this is my pick. This is a really interesting World Series that I really believe will go the full seven games. I am picking the Cardinals but not because I think that they are the “better” team in the context of this season. 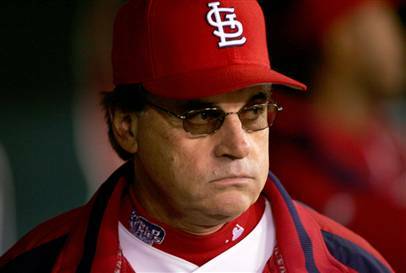 I think that in a 7 game series that Tony LaRussa will do just enough to beat the Rangers. The majority of baseball commentators are predicting that the Rangers will win this in 6 or 7 games. If they were playing the Brewers, Diamondbacks or Phillies I would pick them in a New York minute. But they are playing a team that at the end of August was 10.5 games out of the Wild Card race in the National League and handily defeat teams in the NLDS and NLCS that were on paper better than them. I believe that the Texas Rangers are the better team and I actually kind of want them to win the Series because I like Nolan Ryan, Ron Washington and would like to see the Rangers win their first World Series. Over the course of this year’s 162 game season I don’t think that there was a better team in baseball. They have decent starting pitching, a great bullpen and hit the hell out of ball. They have made mincemeat of some of the best pitchers in the league. Ron Washington is one of my favorite managers, he is smart and really has shaped this team into the machine that they are. They are at or near the top in almost every offensive category including stolen bases. They have a better record than the Cardinals and the two teams pitching staffs have similar records and statistics for the season. The Rangers held off a late season rush by the Los Angeles Angels and took the AL West for the second time in as many years. They eliminated the Tampa Bay Rays in 4 games chewing up a very good Rays pitching staff and proceeded take down the Tigers in 6 games to reach the World Series for the second strait year. Ron Washington is turning into a great manager who has proven that he can manage the game and inspire his players at the same time. However the Wild Card so to speak is the “Wild Card” in this series. The Cardinals took advantage by the epic collapse of the Atlanta Braves in September and won the NL Wild Card on the last day of the season. They then had to face the Philadelphia Phillies in the NLDS. The Phillies had the best record in the National League but had fallen victim to the Red Birds 6 of 9 times during the regular season 3 of which came in September. They dispatched the Phillies in 5 games after being down 2-1 in the series. Then they went to their division rivals and NL Central Champion Milwaukee Brewers. They took the Brewers with whom they evenly split their 18 regular season games in 6 games. These are both great teams with a lot of character and talent. When one looks up and down the roster they are filled with great hitters. The Rangers have the edge in overall quality but the Cardinals are also very good and had the best team hitting in the Division and League Championship Series. Albert Pujols, Lance Berkman, Yadier Molina, Jon Jay and Matt Holiday highlight a line up that hit for a .274 batting average, .341 On Base Percentage and .425 Slugging Percentage in the regular season and produced 762 runs. The Rangers roster includes Josh Hamilton, Michael Young, Adrian Beltre, Elvis Andrus and Nelson Cruz. The Rangers hit a Major League leading team batting average of .283 On Base Percentage of .341 a .460 Slugging Percentage and which produced a MLB high 855 runs. However the playoffs have been another story. The Cardinals led all the playoff teams in batting average (.288) and runs (111) while having .345 OBP and .448 SLG percentages. 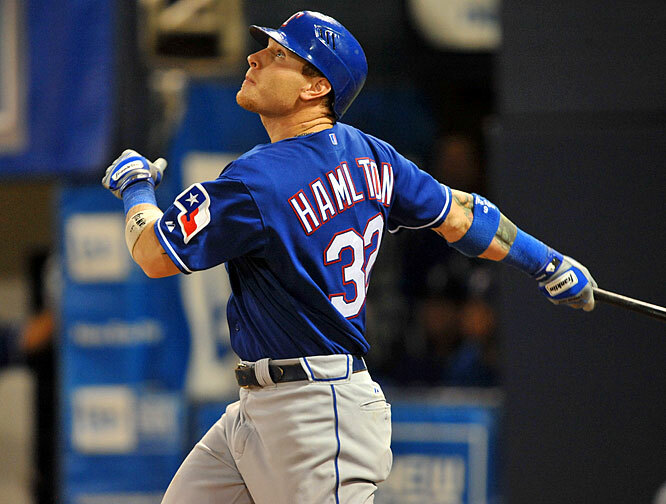 The Rangers hitters were not as dominant in the playoffs hitting for a .259 team batting average producing 90 runs and achieving a .330 OBP and .434 SLG. 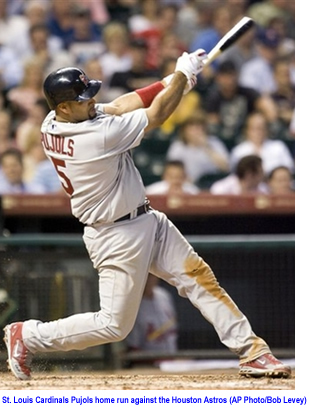 They were still potent especially Nelson Cruz the ALCS MVP who hit .364 with six homers and 13 RBIs. The pitching performance of the two teams in the regular season was quite similar the Cardinals had a slightly better team ERA of 2.74 versus the Rangers 2.79 but LaRussa is unorthodox in his use of his bullpen when has performed magnificently. Game one will feature the two teams’ workhorses, Chris Carpenter for the Cardinals and C J Wilson for the Rangers. The bullpens are both excellent and the Rangers feature Neftali Feliz and Alexi Ogando. Ogando has been particularly good and as a former starter can pitch in extended or short relief. The Cardinals bullpen features Jason Motte and Octavio Dotel who have been excellent in the playoffs. The hitters will challenge the pitchers of both teams and the starters will need to perform to protect their bullpens. LaRussa will use his bullpen in ways that cannot be anticipated and the Rangers could face any pitcher in any situation. The reason that I am picking the Cardinals is the fact that they have done so much that they were not expected to do this season. They overcame a lot to get to this point. The Rangers were expected by many to be here again, especially after the Red Sox collapsed in September and did not make the playoffs. The key for me is Tony LaRussa and his ability to manage a game inning by inning batter by batter in order to deny the opposing team the opportunity to score runs in any single inning particularly “the last three innings of the game.” LaRussa manages the details of a game probably better than anyone in baseball and though many criticize his “micromanagement” it certainly has worked. Provided nothing really unexpected happens LaRussa will pass the great John McGraw on the all time managerial win list sometime during the 2012 season. 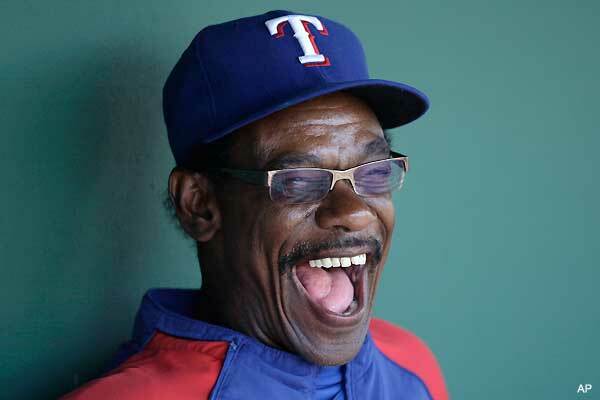 None of this is to be disrespectful of Ron Washington, he too is an excellent manager and the Rangers would not be where they are without him. Likewise the Cardinals have home field advantage and Busch Stadium is a pitchers park which plays well with how LaRussa uses his bullpen and bench. The Rangers are an amazing team and I do think that they are the better team and really want to win this, but there is something about this 2011 Cardinals team. Since the end of August they have played every day with their season on the line and risen to the occasion. 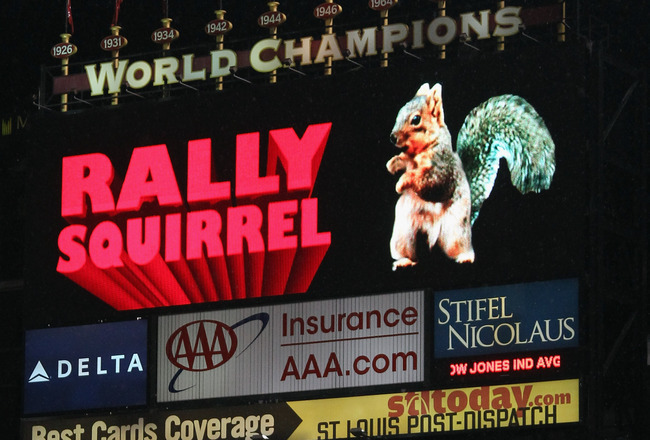 Besides they have the Rally Squirrel…. How can they lose?